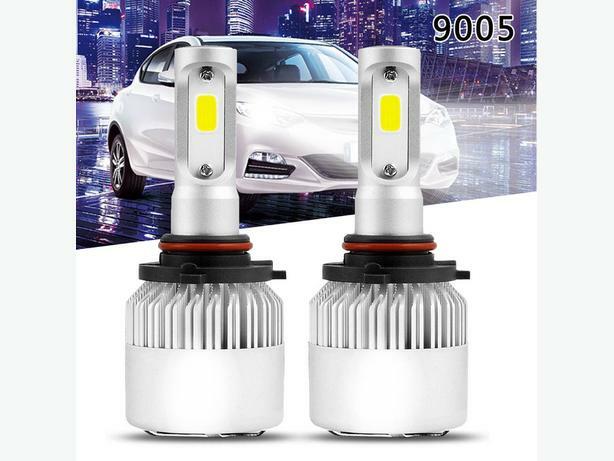 For sale brand new set of 2 LED 6000k 9005/HB3 36W 4000LM Car Headlight Kit Hi/Lo Beam Power Bulb. -High quality design for better cooling waterproof driver with internal constant current CPU. -Easy installation easy: All in one driver with smaller size one step installation with original car lamp connector. -Waterproof design: Adopted nanoscale waterproof design application to different weather safer led headlight. -New heat dissipation system:Fluted heat dissipation design with large heat dissipation area and built-in high speed fan, long life span is guaranteed by quick heat dissipation speed. -High thermal conductivity. High precision anode body. Aluminum PCB and PA66. -High intensity heat resistance lens cover. -High compatible and high effective decoder: specialized decoder error free for all vehicles, error free effectively, anti-interference, no glare, easy and safe connection without any modification for wires. -Japanese 2 ball fan: high speed heat dissipation fan at 12000rpm, 20 times better than regular product. -Easy to install, plug and play features.